Fort Worth-based NBC5 became the latest D-FW station to reduce its newsroom work force Friday. Management is not giving out any names or numbers, although early information indicates that at least nine people have been affected, the majority of them photographers. "There's not much to say. Jobs were impacted," a station spokesman said early Friday evening. "We did have a layoff today. They're difficult decisions. We don't take them lightly. This is about managing our business as effectively as possible in today's current economic climate." Asked about specifics, the spokesman said, "I respect your asking, but we're just not going to talk about that." 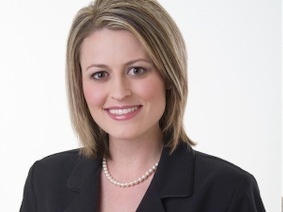 Reporter Melissa Newton, who joined NBC5 in December 2007 as a morning reporter, is among those laid off, it later was independently confirmed. The Texas Tech graduate previously had worked as a reporter and anchor for two Oklahoma City stations, KOKH-TV and KOCO-TV. Another prevalent rumor was that veteran anchor Mike Snyder might have been reassigned or dropped entirely. "Today didn't involve that at all," the spokesman said. "There's no news on that." As previously reported on unclebarky.com, NBC5 recently signed a content sharing agreement with two competing D-FW stations, Fox4 and KDAF-TV ("The 33"). It's supposed to enhance and consolidate news-gathering operations. But as demonstrated Friday, it also can lead to further downsizing.